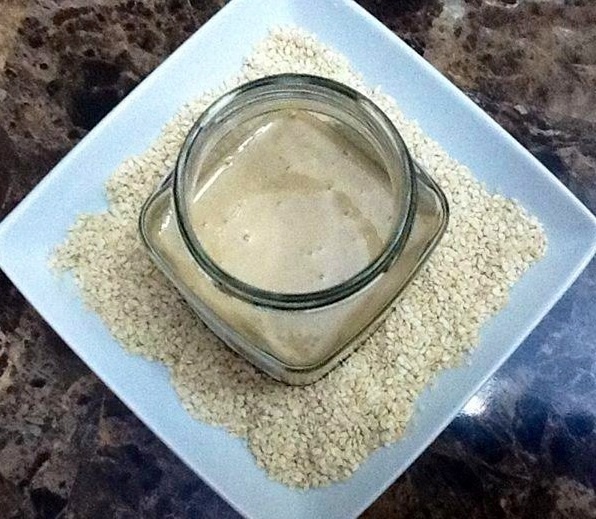 Tahini, a versatile sesame paste used in middle eastern cooking….it can be used to make a creamy Hummus, a tangy Yoghurt Tahini sauce, or as a nutty thickener in currys! Lightly roast sesame seeds and then grind to a smooth paste using olive oil or any other oil you so prefer. Store in an airtight container covered with a layer of oil. If stored properly lasts for several months!